Hope you all are having a great start of the week. You may remember, I'm so obsessed with handbags, that there are never enough bags for me in the closet haha. But when it comes to wallets, I'm not very picky, I can use one wallet for moths without changing (while I carry different bags almost every single day). This is not my first Coat product, I have a few Coach bags and they are very good quality. So, I'm glad I got these wallets. As you can see, both are beautiful colors but since my favorite color is red, I started using red one. Do you love getting new wallets or you are more a handbag-lover? Let me know in the comments below. Wow, I'm in love! They are both beautiful. The red one is my fave! The colors of these wallets are gorgeous! You make me want to get a new one myself. Thanks for sharing Nina! The red one is fab, love the colour and it is so perfect for spring!! Love how vibrant both colours are, Nina! I try to use a wallet, have some, but then somehow I start not liking to grab them... same as with agendas :) But I loooved your wallets and the red one makes me want to use one again! Very good presents, really lovely and Coach is an excellent brand! Hope you have a lovely week! Both colors are so pretty!! and I love the flower pattern on the inside! Love them! The colors are amazing! Coach is the best! fun colors too! Very nice choices, and the colours are perfect for spring! Wow such beautiful purses love the details. Ohhh, that purple is SO vibrant and pretty for spring! So cool, I love both! These wallets are so pretty! I love the colors! Totally in love wit this Coach wallets! These wallets are so pretty! I love the bold colors and lining in them. I've had a Coach wallet for years, the quality is amazing! I'll have to check out these styles though because they're so pretty and can add such a pretty contrast to a neutral everyday purse! Thanks for sharing and I hope you have a great day, girlie! 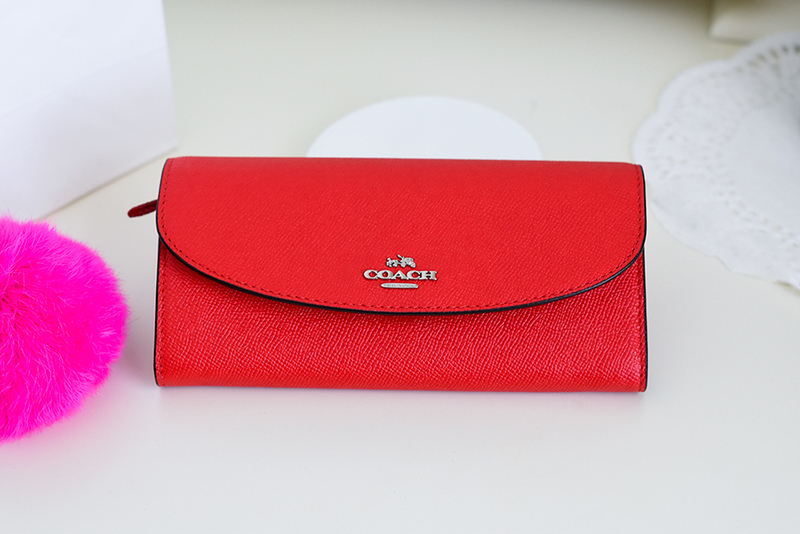 I'm in love with Coach and with these two wallets, Nina, both colours... wow!!! The wallets are beautiful!<3 And Iam more like a handbag girl. LOL I always have something to bring on my bag. Oh how exciting! 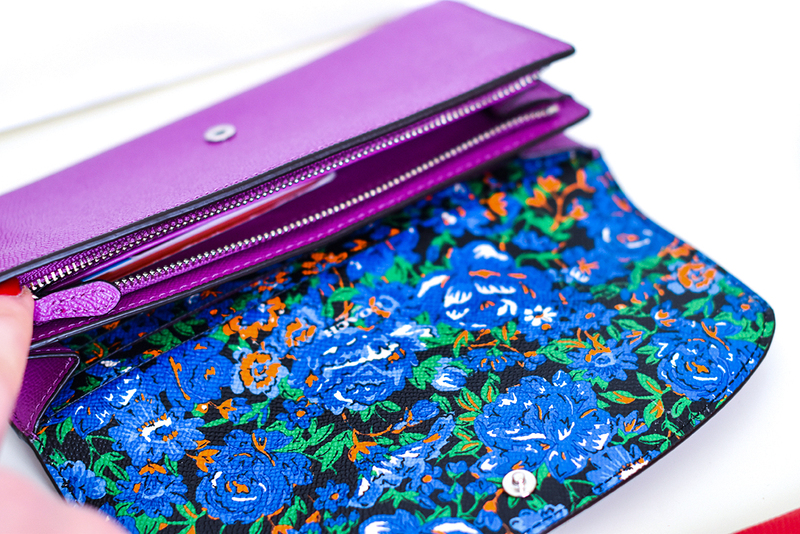 These wallets are so classic and I love the vibrant colors for spring! Beautiful bags dear! have a lovely day! Cute wallets! Love the bright colors and the fun patterned insides. The colours are so perfect for spring! The colors are just magnificent. Lovely designs. Really love these. I usually buy 1-2 wallets each year so I definitely buy more handbags but wallets are a lovely treat! Haha, your husband not remembering your favourite colour worked out very well for you Nina! I love both purses, they're so chic.